Stage 1 Gold (Black pool) finish with 13 straight WINS! First match win was a good start to the season! Three to Four wins in a row, settled things!! However, there was no stopping these champions until the season ended and they topped the chart with 13 straight wins - "UNDEFEATED". The opponents succumbed to the pressure exerted by the Strathfield boys on the field. Every time, the boys entered the ground they played as one unit and what a performance was on display. Match after match, Strathfield Gold players showed they are a complete team by scoring more runs and taking more wickets than the opponents and also displaying their brilliance in fielding department. Athithan Mayuran from Strathfield Blacks Under 11 team was selected as McDonald’s junior player of the week across Sydney Metro region for his outstanding bowling performance of 4 wickets for 19 runs. Bowling fiercely fast, his spell included 3 wickets off 4 balls in his third over, narrowly missing out on a hat-trick. Last season Athi took a hat-trick in an under 10 game. Well bowled Athithan! 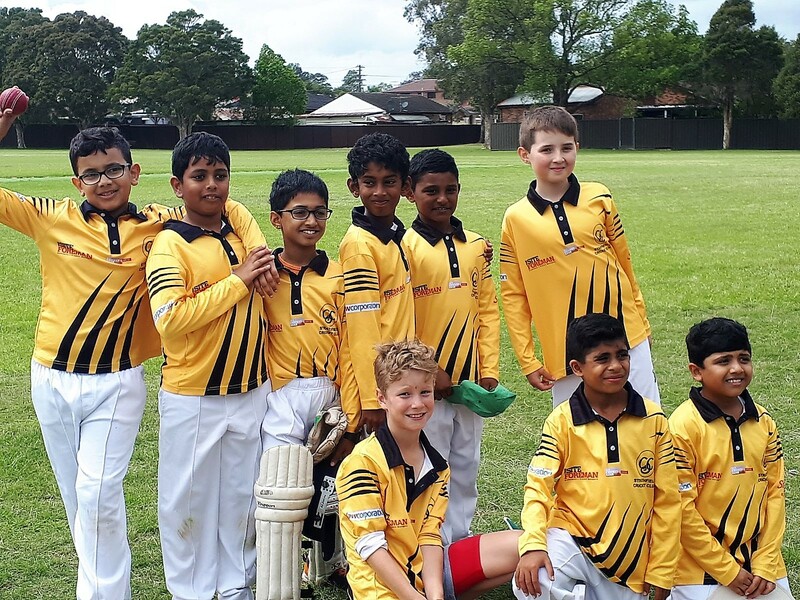 Ashvin Rajkumar from Strathfield Blacks Under 11 team played a quick-fire innings scoring 32 runs off just 15 balls with a strike rate of 213. A chanceless innings studded with 5 boundaries helping the team win against a formidable opposition. So far in the U11 season, only 5 individual scores of 30+ runs have been achieved. Great Innings Ashvin!